Never send text you wouldn't want everyone to see. 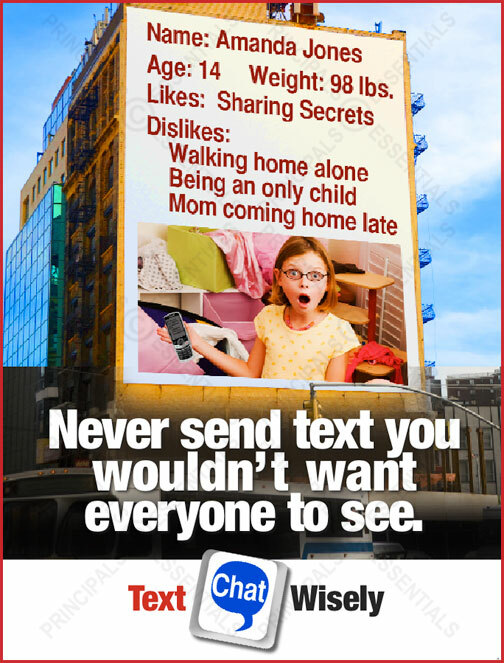 Home > Rules & Social Media > Web Safety Posters > Never send text you wouldn't want everyone to see. Discourage students from posting cruel video content. Empower bully victims. Never Upload content that LOOKS BAD on YOU. 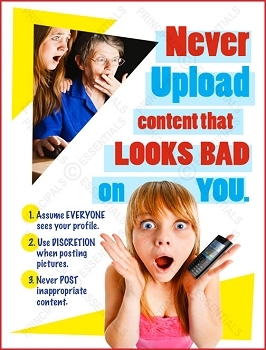 Educate students on the danger of posting inappropriate content. 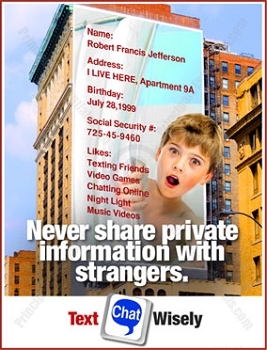 Never share private information with strangers. 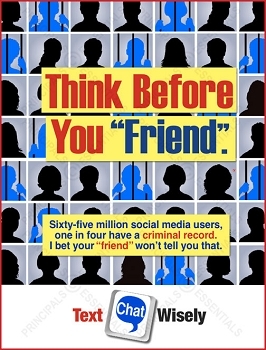 Educate students on the danger of posting personal information. 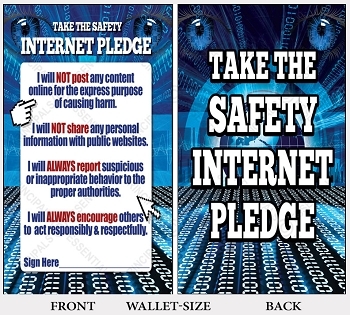 Student pledge & promote safe, responsible use of social media. It's 10 o'clock. 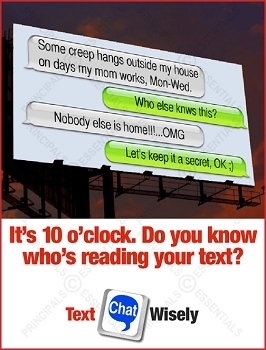 Do you know who's reading your text? 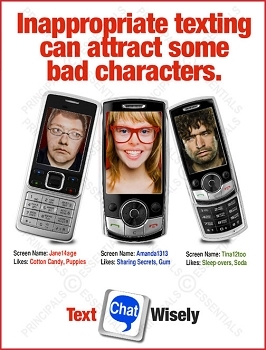 Warn students about texting strangers & internet predators. Texting can lead to a sentence. 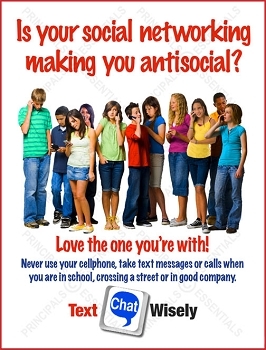 Promote responsible use of the texting & the penalties of its misuse. Inappropriate texting can attract some bad characters. Educate students about common tactics online predators may use. Is your social networking making you antisocial? Set clear guidelines for socially responsible cell phone use. 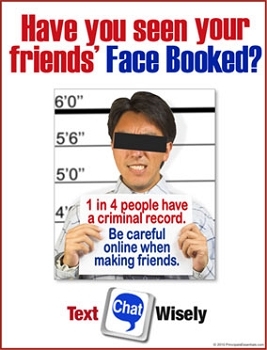 Have you seen your friends' Face Booked? 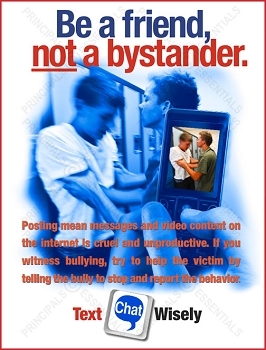 Protect students from cyber-bullies and online strangers. Build awareness & help students identify online predators. 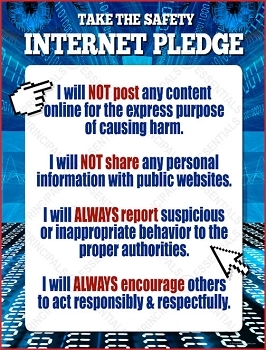 Set clear, responsible guidelines for internet use. 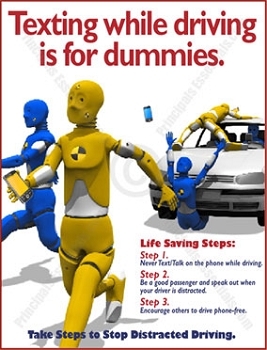 Texting while driving is for dummies. Educate students on the dangers of texting while driving. The Downfalls of Distracted Walking. 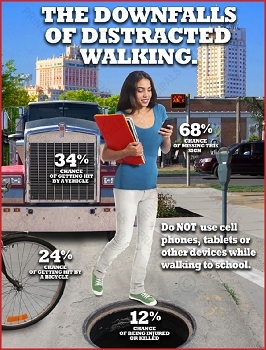 Educate students on the dangers of distracted walking.